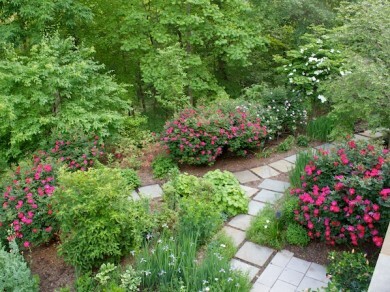 Looking for a reputable and conscientious landscaping company in Herndon VA? Whether you need a new outdoor living space or need help with an uplifting lawn renovation, O’Grady’s Landscape has you covered. The team at O’Grady’s Landscape handles various issues big and small and our skilled staff has extensive experience designing effective and affordable solutions for all types of properties and aesthetics throughout the Herndon VA area. Landscaping is our joy and we wish to share our expertise with your family. When you choose us for your landscaping project, you can be confident that we’ll respond promptly to your request for a consultation and get you an estimate within a week. We will continue to provide you with a high level of support every step of the way until completion of your project. We also enjoy following up with our clients to be sure you are enjoying your landscape projects as expected. Call us at 703-533-5001 to schedule a consultation for landscaping in Herndon VA and we’ll give you—and your landscape all the attention you both deserve! 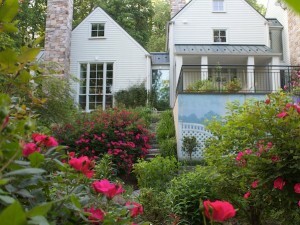 Need help with another aspect of landscaping you don’t see listed above? Learn more about our lawn care and landscape maintenance services in the Herndon VA here and see how we can help you maintain a healthy, green and strong lawn! Do you have damaged, dry grasses detracting from the look and feel of your property? Or drainage issues that leave you with backyard floods and puddles after each storm? O’Grady’s Landscape has the solution you need to maximize functionality and make your landscape look vibrant once again! Serving homeowners in and around the Herndon VA area, we are dedicated to providing you with all the landscaping insights and tools you need for a lawn you can be proud of. So don’t neglect your lawn any longer! Let us help you with all aspects of landscaping in Herndon VA so you can leave an impression on all your family and friends—call us at 703-533-5001 to schedule a consultation today! Thank you for your interest in O’Grady’s Landscape. Please provide your information or call us directly at 703-533-5001; we will get back to you within one business day. We appreciate the opportunity to serve you, and we look forward to discussing your landscape needs.